Though we’d like to think Milwaukee is clearly and unequivocally “Packers Country,” the truth of the matter is we’re a city with many rooting interests. Not even counting the loads of people that move to town from other NFL markets, Milwaukee is actually closer to Chicago than it is to Green Bay, meaning there’s a noticeable undercurrent of folks with decidedly non-Packers rooting interests. 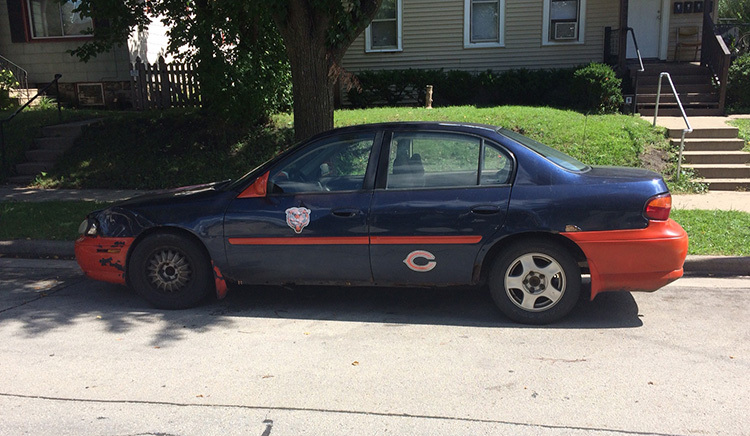 In fact, it’s safe to say the second most popular football team in Milwaukee is, gulp, the Chicago Bears. Yes, there are “Bears bars” in metro Milwaukee that function as embassies for Illinois expats all season long. 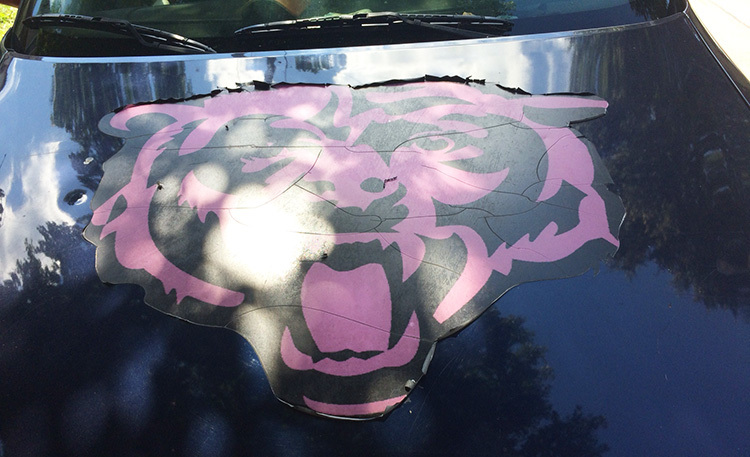 Some bold residents show their unpopular allegiance by wearing Bears apparel, flying team flags from their porches, or by plastering a bumper sticker on their car. 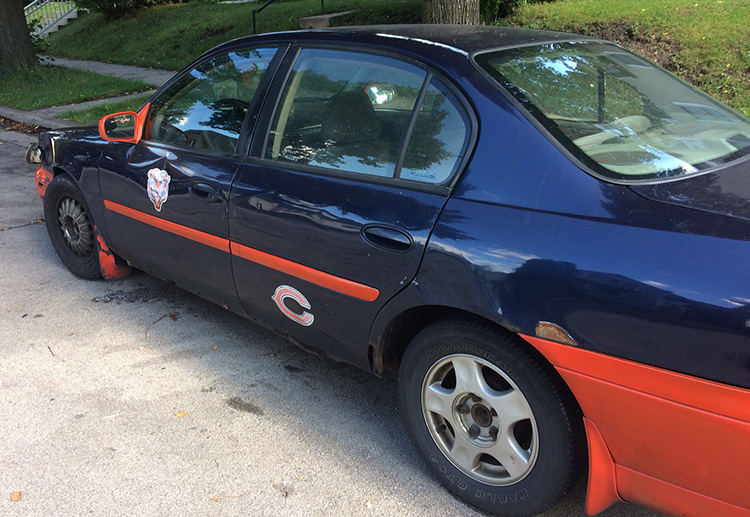 One fan in Bay View has gone the extra mile—or extra 100,000 miles—by transforming their car into a full-fledged Bearsmobile. 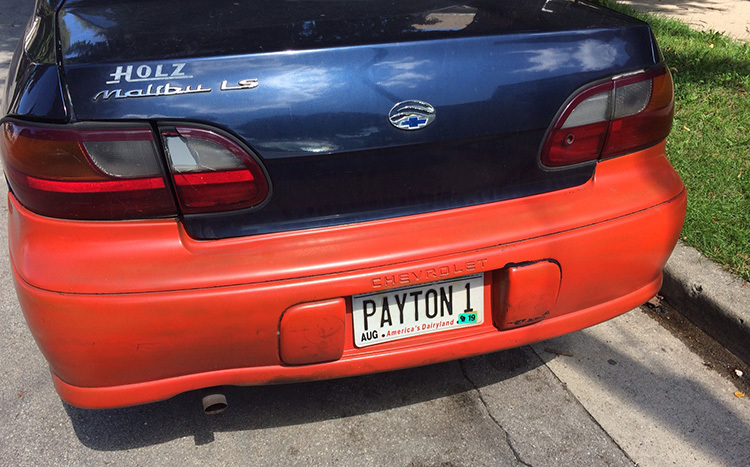 This brave fan has put his or her personal well-being and the Kelley Blue Book value of their Chevrolet Malibu LS on the line by painting the car navy blue and orange. 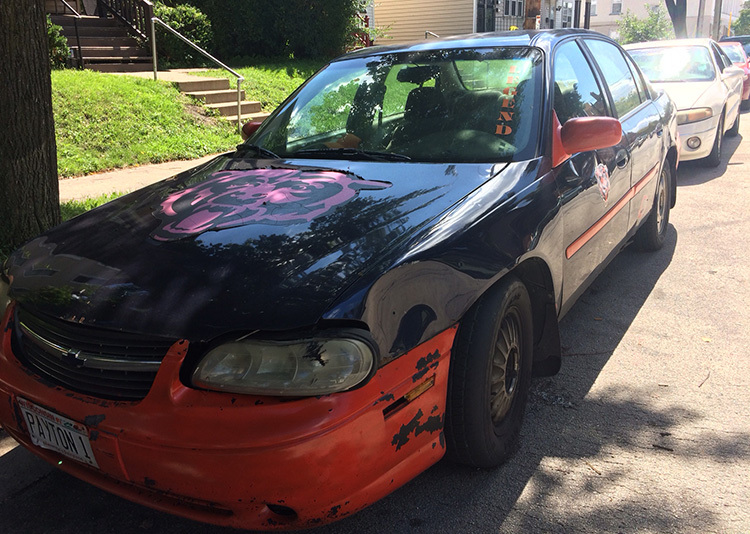 Since the top image was taken, the car was even re-painted to its current bright orange likeness. 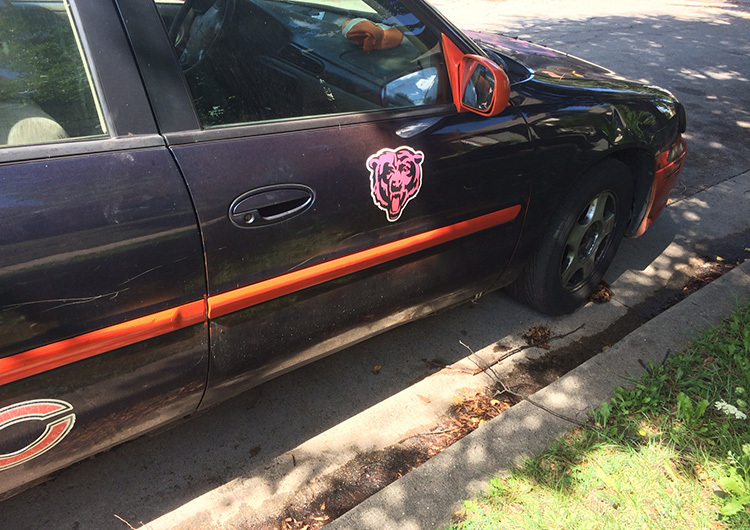 Adding to the outward display of fandom is a huge Bears logo on the Malibu’s hood. And more Bears heads on each front door. As well as “C” emblems on both rear doors. 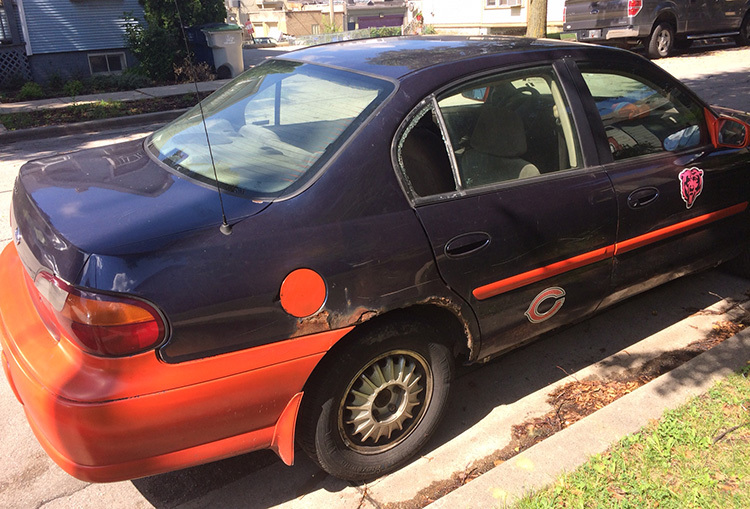 It’s rusty, dented, and has a broken window, but those aesthetic details are clearly less important to this person than letting Milwaukee drivers know what football team they like. It can’t sustain long drives. It hasn’t been in great condition since 1985. It doesn’t run very well. 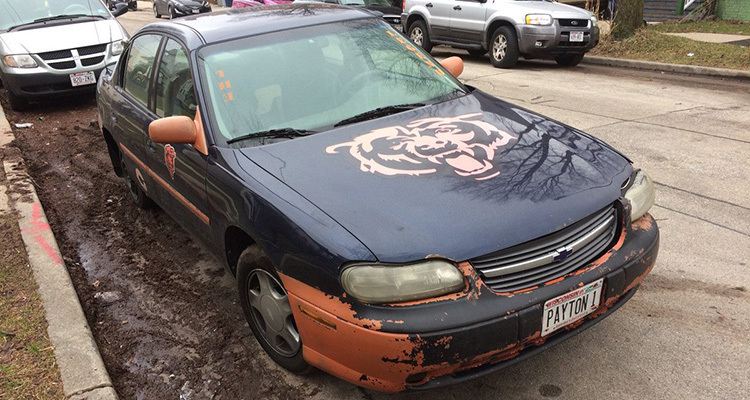 Before this weekend’s game, many of the Bears fans in our midst will briefly make their presence known. 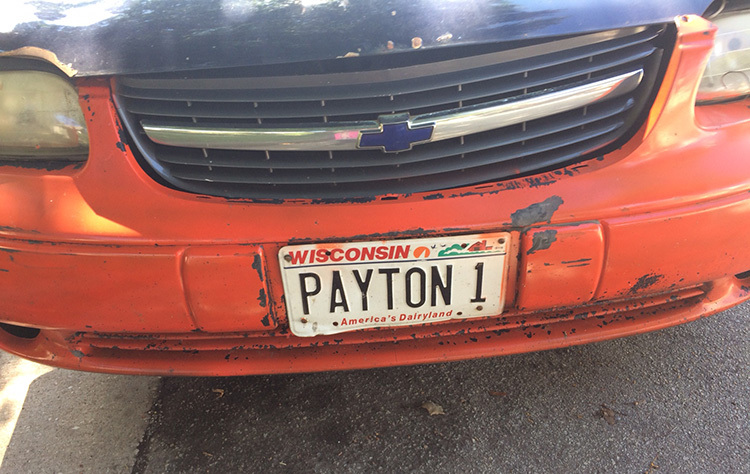 For people in Bay View, one motorist shows their true colors each and every time they get behind the wheel.